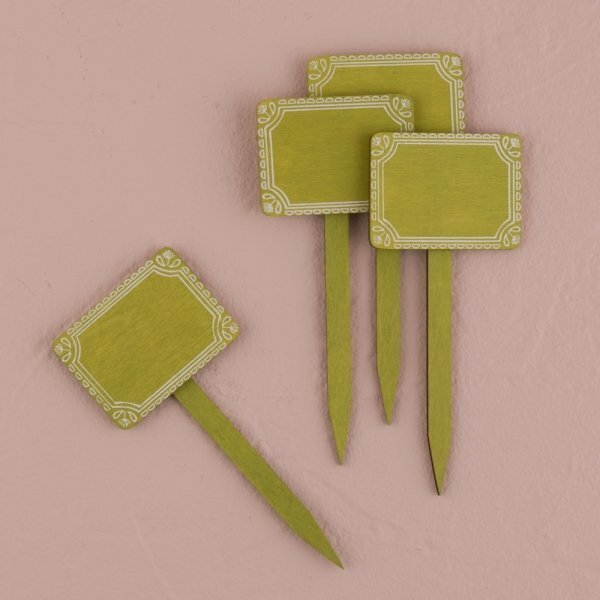 Add a decorative accent just about anywhere with these mini decorative stakes! 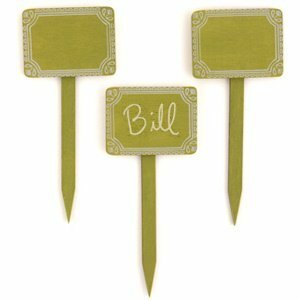 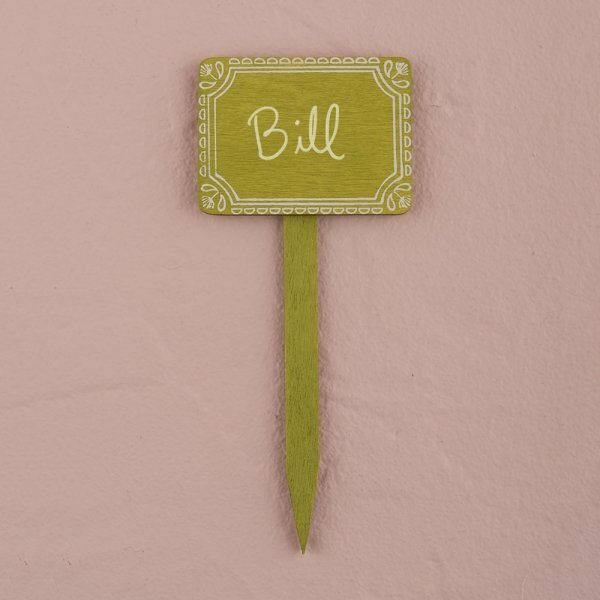 The leaf green stakes have a lovely floral and lace design border for added charm. 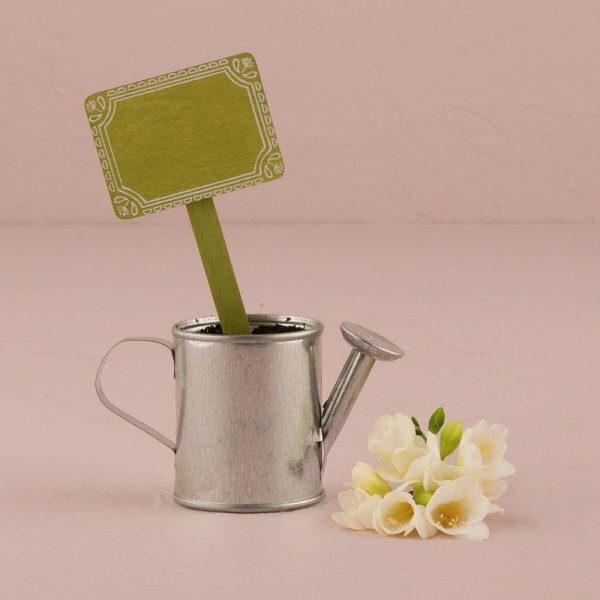 Add one to small potted plants to create table numbers, place cards, centerpieces or other tabletop displays. 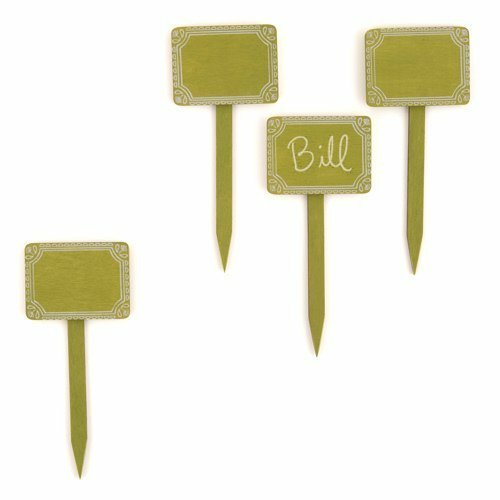 The wood stakes measure 2 1/3" x 1/4" x 5 1/2" and are sold in sets of 12.